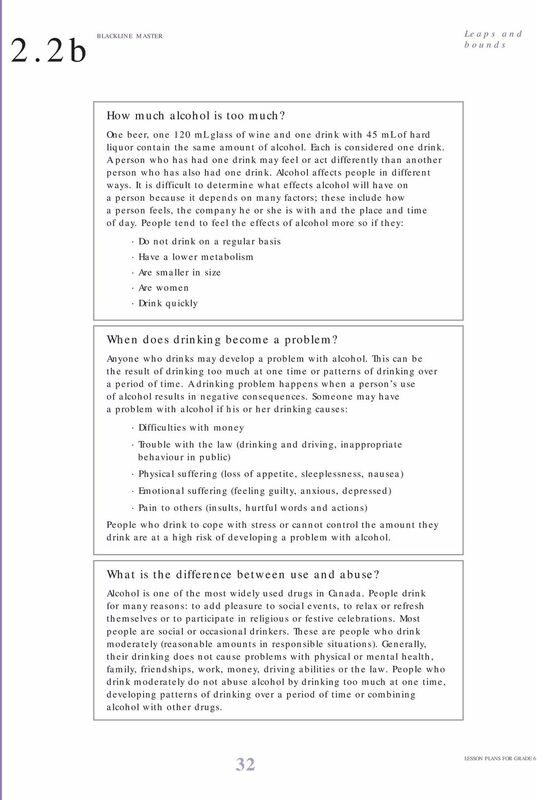 Download "Alcohol use or abuse. 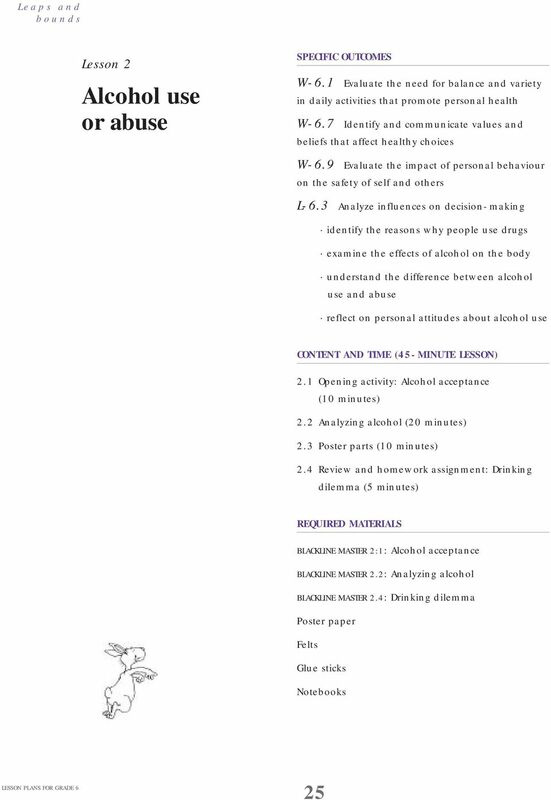 Lesson 2"
For More Information: U.S. Department of Labor Occupational Safety and Health Administration 1-800-321-OSHA (6742) TTY 1-877-889-5627 www.osha. 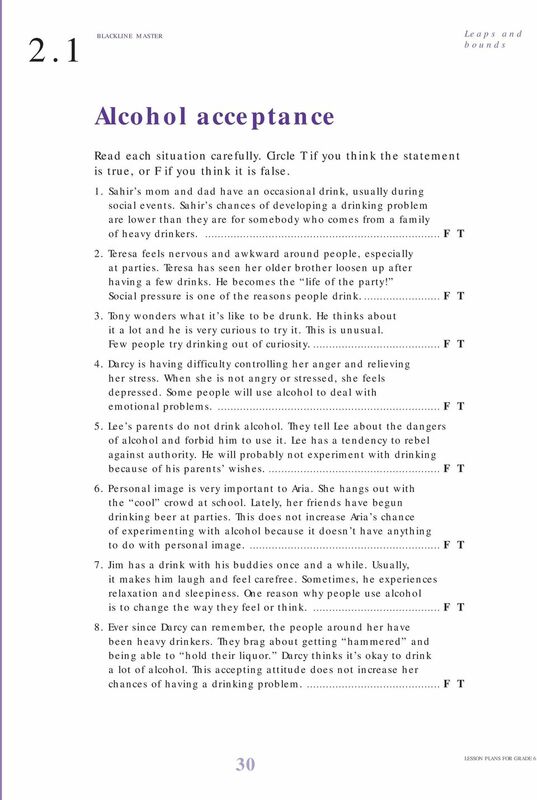 BARTENDER AND SERVER WORKBOOK VOL2. 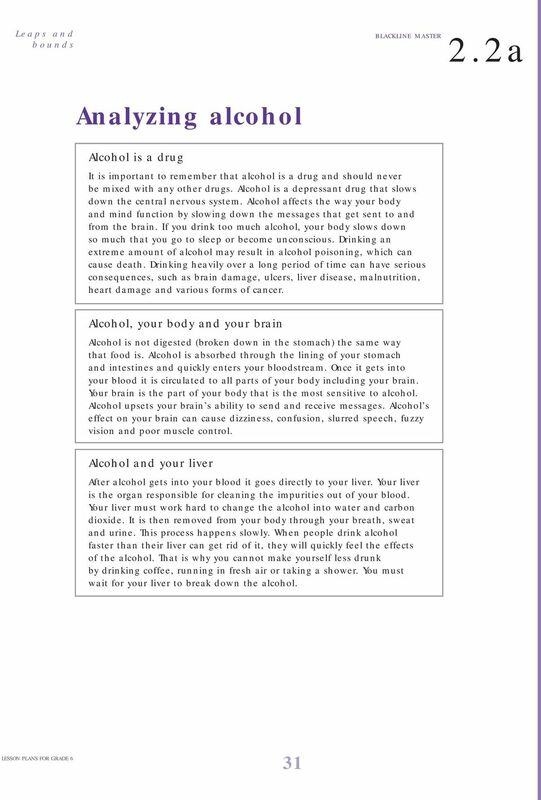 Alcohol s Path Through the Body. Coaching the Experienced Bartender & Server. Maj.
WHAT DO YOU KNOW ABOUT CHEMICAL SUBSTANCES? 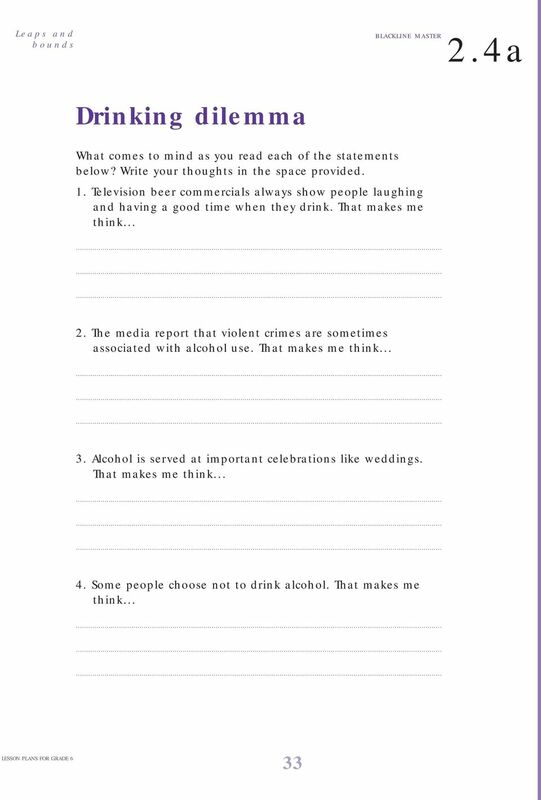 Test Your Alcohol Take the CENTREFOLD QUIZ! What do you Really Know About the #1 Drug Used by Teens? 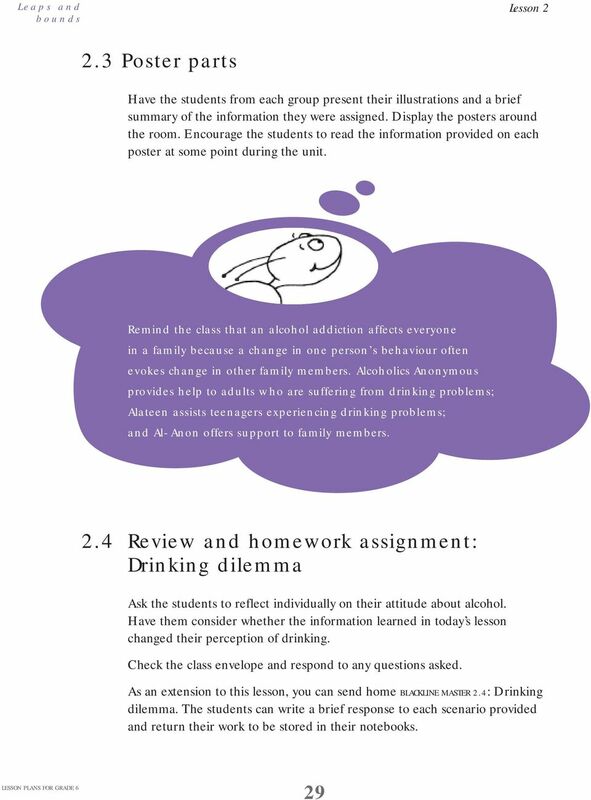 Ontario Drug Awareness Partnership 1. 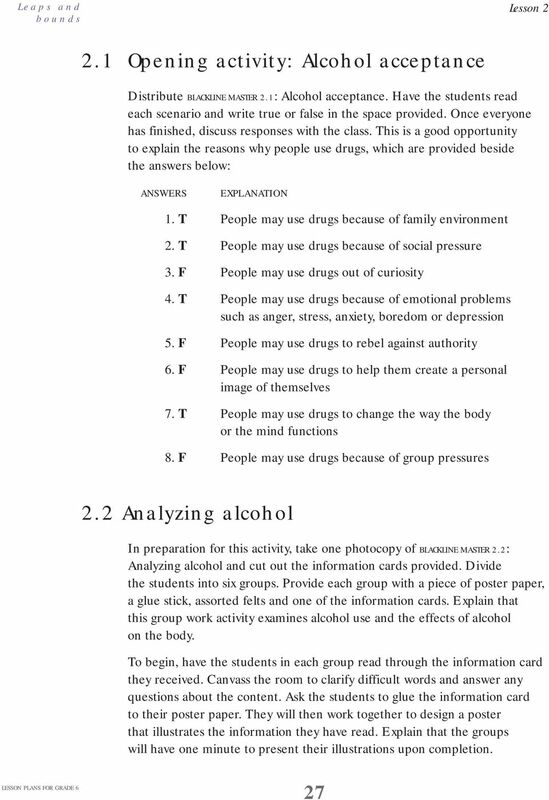 Q:Which drug is most often abused by teens? 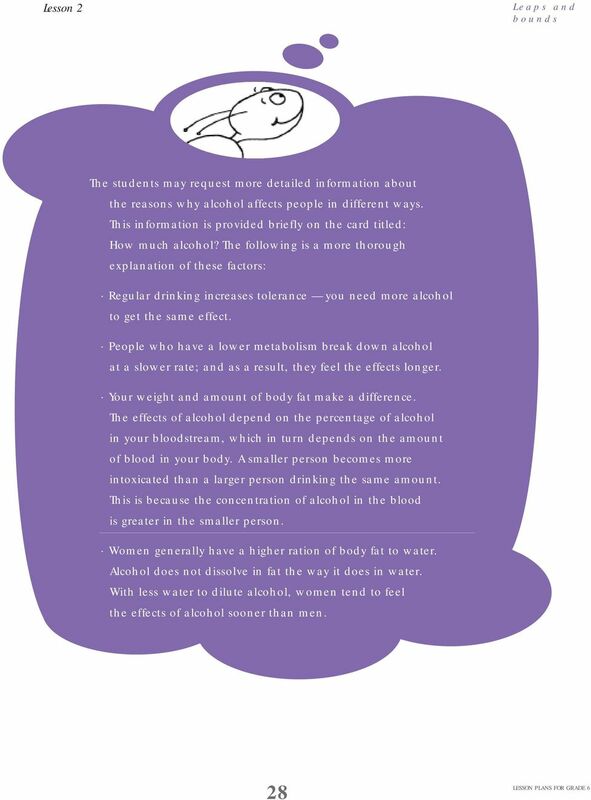 A: A: It's still alcohol.